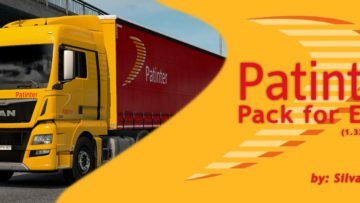 Patinter Pack compatible with the latest game version (1.32 or newer), and compatible with the ownable trailers. 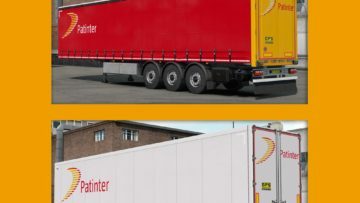 Includes a skin for the curtain side trailer and another skin for the insulated/refrigerated trailers. 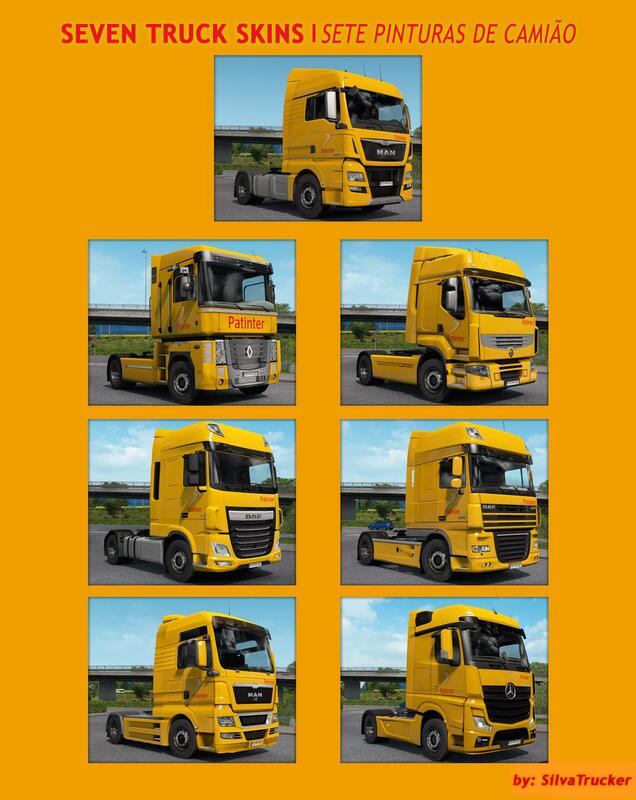 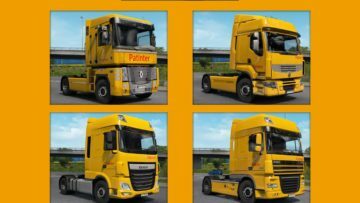 Includes seven skins for trucks (Renault Magnum, Premium, Actros MP4, DAF XF 105, XF e6, MAN TGX Euro 5 and TGX Euro 6). 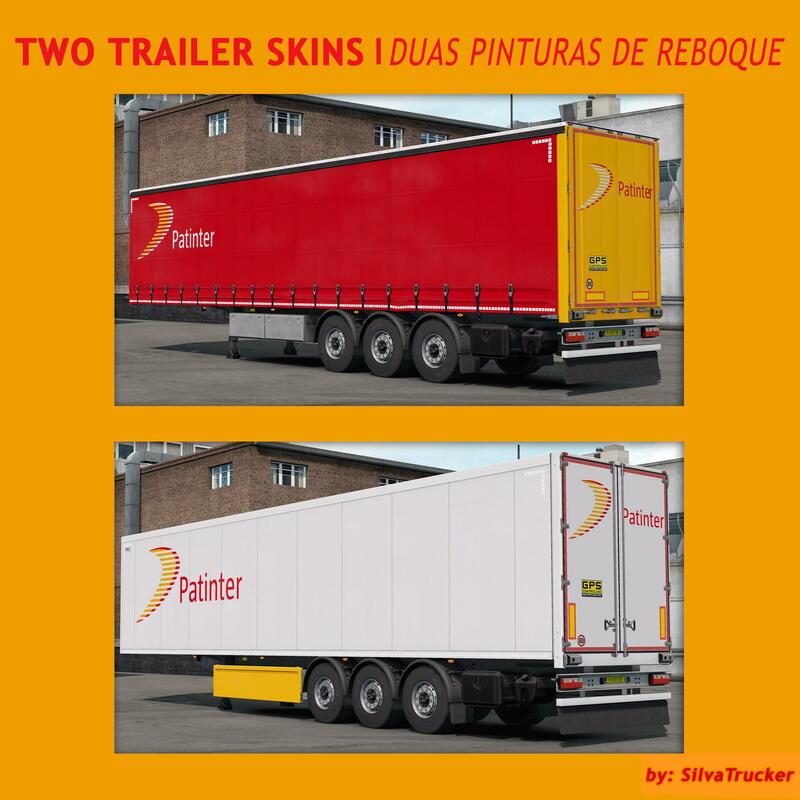 The skins are compatible with the ingame trailers, in all cabin sizes.